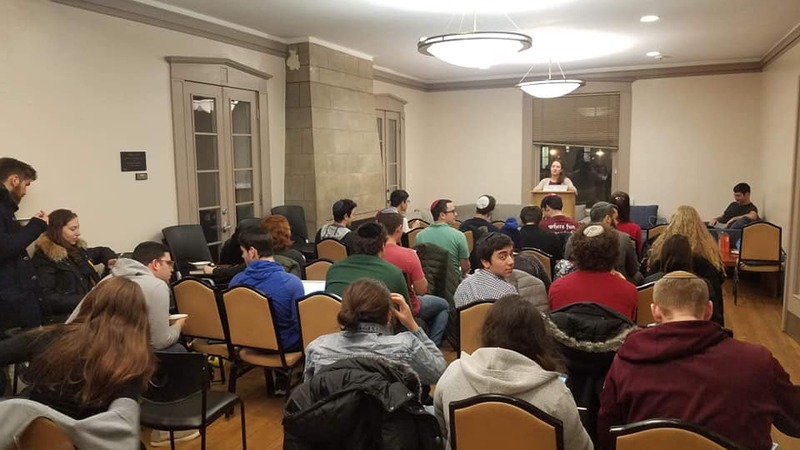 We're always looking for ways to integrate torah learning into our academic lives, from writing HUM papers about Ramban's conception of the soul to learning Yiddish, but we also take time to learn torah lishma every week. We have weekly student drashot between shabbat shacharit and mussaf, as well as a lively parsha discussion group each shabbat after kiddush. 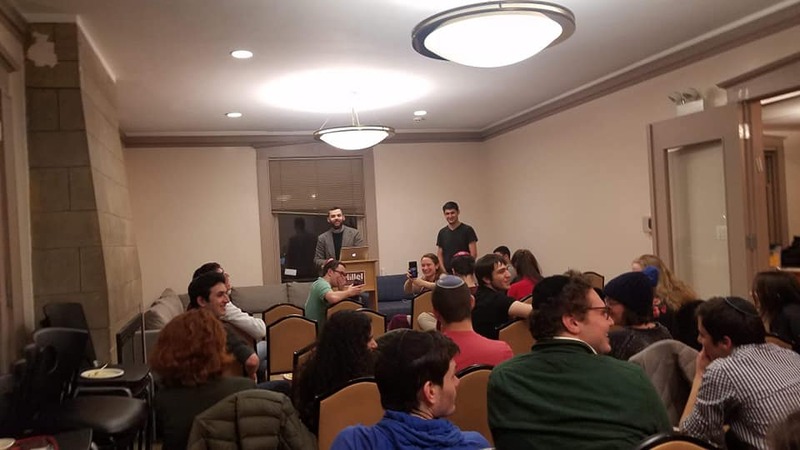 The UChicago Hillel hosts an OU-JLIC couple, Rabbi Jon and Orly Singer, who run learning events throughout the quarter, including a student-run beit midrash every Thursday night of the academic quarter, shiurim and meals on shabbat, and other shiurim each week. 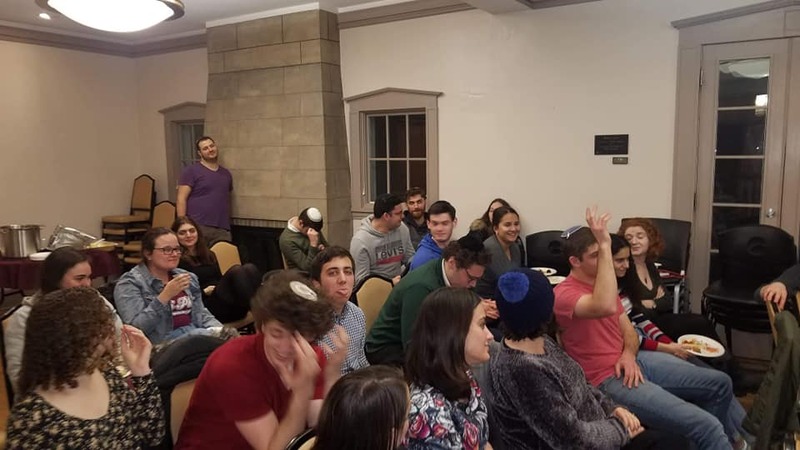 Yavneh members can be seen participating in chevrutot in Hillel and across campus, and are invited to set them up on their own or collaborate with OU-JLIC to set them up. For private research and learning, the Newberger Hillel is home to the Davidson Library, one of the largest Hillel libraries in the country. The University also hosts a collection of over 17,000 titles in the Ludwig Rosenberger Library of Judaica. Yavneh's first annual tzadakah auction was a huge success! Together, we raised over $1,000 for the Daniel Follmer Memorial Scholarship Fund, with over 25 items sold! There are also volunteering opportunities available through Hillel and RSO's across campus. Visit the Hillel website or the UChicago Center for Leadership and Involvement website. There is a wide variety of Israel advocacy and involvement opportunities available on campus. From the political (UChicago Friends of Israel, J-Street) to the cultural (the Bamba Society Film Club, Tamid Consulting Group), if you want to get involved, there's a way.